This Braille caption is so large that I literally can feel only one dot at a time rather than gthe entire cell of 6 which it takes to communicate a character. Could the reason for the oversize representation be as a clue to the sight limited too, allowing easy recognition that a Braille message is in place? CLICK the thumbnail for a better sense of the massive size of this braille. 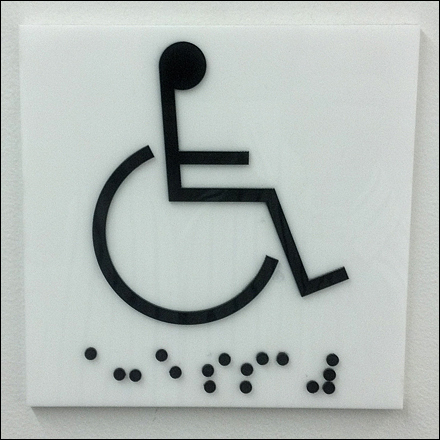 Please leave a comment if you can educate me on such braille implementation. Please leave a comment if you can educate us on such braille large-scale implementations. 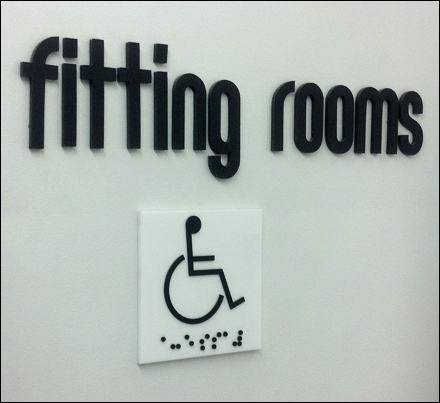 PreviousPrevious post:Barack Obama In-Store PresenceNextNext post:Fitting Room By Any Other Name?